Ford Motor Co.’s two company presidents are shuffling roles — with one taking responsibility for the business of today, and the other the approach to tomorrow — as a third executive prepares to retire. Joe Hinrichs will become president of automotive, overseeing product development, purchasing, manufacturing, sales and marketing and all regional business unit. Jim Farley will take on the role of president of new businesses, technology and strategy. Both roles are new and effective May 1. Hinrichs has been president of global operations, while Farley has been president of global markets, with both reporting to CEO Jim Hackett. Their roles are expanding as Marcy Klevorn will retire in October after 36 years at the company, most recently as president of mobility. Hackett, a former leader of office-furniture maker Steelcase Inc., is leading an $11 billion overhaul of Ford as it seeks to reverse a slide in profits while preparing for a future of electric and self-driving cars. 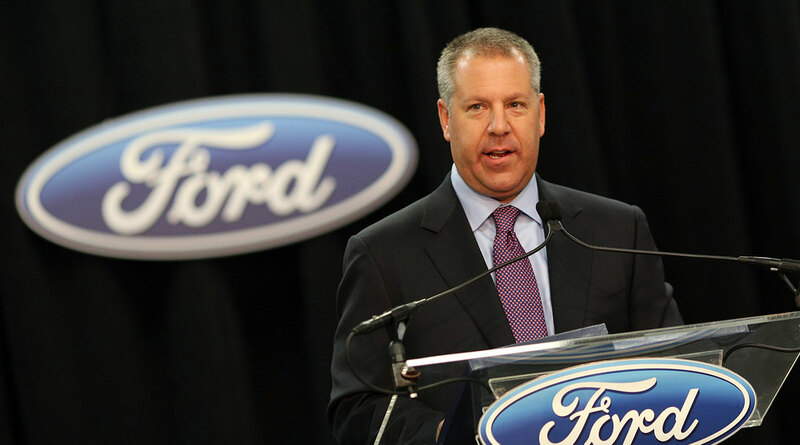 Hinrichs and Farley are seen as vying to succeed him in running the second-largest U.S. automaker. Hackett said that each executive possesses skills appropriate for his new role. Hinrichs, a manufacturing and labor specialist, earned kudos last year when he quickly restored production of F-Series pickups, the company’s biggest moneymaker, after a fire at a key supplier disrupted output at three of the automaker’s truck plants. Farley, a former Toyota Motor Corp. executive who led the Lexus and Scion brands, is a marketing and product specialist. With Klevorn’s retirement, Ford loses one of its few female executives, Krebs said. By contrast, General Motors Co. has women in the CEO and chief financial officer roles.